We have to say, we feel a little jipped with Top Gear USA’s final episode of their first season. With the increasing attention and interest we have shown in the show, a recap episode is not what we were expecting for their last hoorah of season one. It was rather disappointing to say the least. Dressing it up as a "best of" episode, the three Top Gear USA boys shared all of the antics from season one with their top choices for best super cars, favorite old beaters, favorites races, favorite road trips, and something called "Making Mom Proud." Hate to say it, but Top Gear USA did not make us proud with episode 10 of season one. Not proud at all. The good thing about this episode is that we did get to take another look at some of our favorite Top Gear USA moments as well. It’s not exactly an ideal season finisher, but we guess it got the job done. Hit the jump to see Tanner, Ruttledge, and Adam’s picks for the best of Top Gear USA, Season One. Having driven the Superleggera in one of the reviews for episode one, Adam Ferrara picked up a thing or two about the Gallardo Superleggera. For one thing, it’s fast. Very, very fast. In fact, Adam Ferrara says that driving the Superleggera is like "being aroused at gunpoint." driving the Superleggera is like "being aroused at gunpoint." And we can see why. The Lamborghini Gallardo Superleggera is powered by a 5.2L V10 engine kicking out 570 ponies, but that isn’t what is the most exciting about the supercar. With a name like Superleggera, Lamborghini sought after making this car lighter than its brethren, and succeeded in doing so with a 154lb drop in weight when compared to the Gallardo LP 560-4. This helps the Gallardo make the 0-60mph sprint in 3.4 seconds and the 0-124mph sprint 10.2 seconds later. Top speed marks in at 202mph. 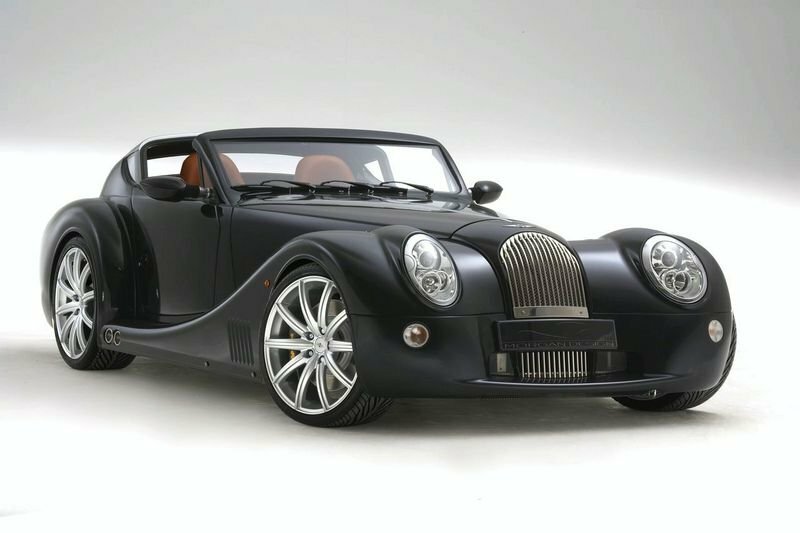 In episode six, Tanner spent some time across the pond with a little known car called the Morgan Aero SuperSport. This hand-built and excruciating beautiful piece of art looks like something we’ve seen in an old fashioned movie, but with a modern and speedy little twist. Powered by a 367hp 4.8-liter BMW-sourced V8 engine, the Morgan Aero SuperSport gave Tanner a run for his money with the seasoned racer even backing out of his speed-craving experiment with the Aero. No one would expect that a car that looks like it does could even begin to reach the 170mph top speed that Morgan claims it can, but even Tanner was unable to reach that mark, only getting to 150mph before the car began shaking and lifting. The Aston Martin V12 Vantage made an appearance on Top Gear in episode two along with its brother, the V8 Vantage. Ruttledge ended up driving both of these vehicles as part of his comparison review for the Aston Martins, but the V12 Vantage was clearly his favorite because, in his words, "finally the Brits took a page from the Americans; take the smallest car and cram in the biggest engine." "finally the Brits took a page from the Americans; take the smallest car and cram in the biggest engine." 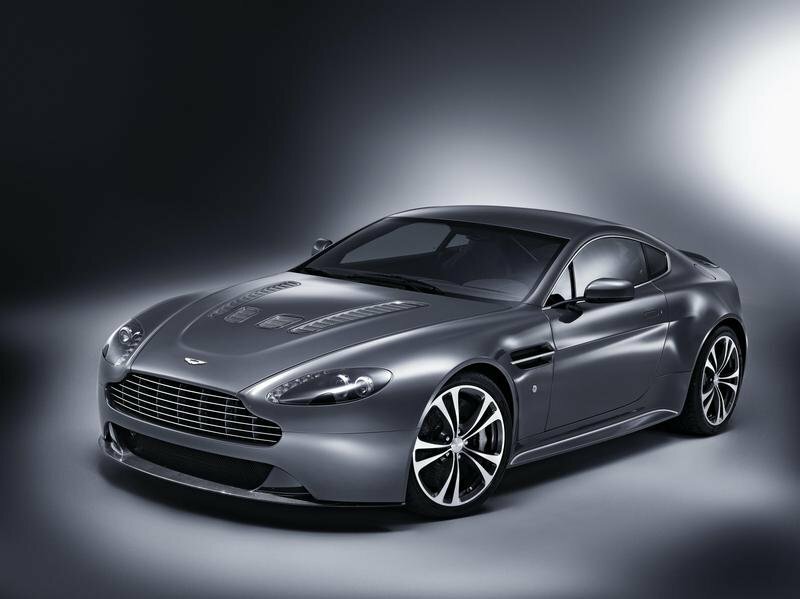 The Aston Martin V12 Vantage is powered by a 6.0L V12 (Duh) engine that pushes out an extraordinary 510hp. Throw in some lightweight material, including a carbon fiber driveshaft, and this puppy can beat out some of the big guns in an all out race to the finish. The 0-60mph sprint is made in just 4.2 seconds and top speed halts at 190mph. Clearly, this episode was made only to allow Ruttledge to drive both cars because the V12 Vantage clearly has the upperhand against the V8 Vantage. The first trailer of Top Gear USA showed one of the first beaters to appear on the show: the Cadillac Coupe Deville. We don’t really know why this was Adam’s top pick for favorite beater because it sure as heck didn’t get him to win the challenge in episode three. In this episode, all three Top Gear USA hosts had to go out and purchase a vehicle for under $1000. The Cadillac was Ferrara’s choice to run through a series of challenges, including a “moonshine” run dirt course in North Carolina in order to determine which host found the better car. The whole point of the challenge was to experience the obstacle that moonshiners had to go through when transporting the illegal alcohol. Tanner Foust chose the third-generation 1986 Chevrolet K Stepside from episode nine as his favorite old beater. One of Chevy’s full-size pickup trucks from back in the day, the Stepside is powered by a choice of six or eight cylinder engines with either manual or Turbo Hydra-Matic transmissions. Foust needed this bad boy for Top Gear USA’s trip to the home of Sarah Palin. Once in Alaska, Tanner and the boys took their trucks through a series of challenges, but the Stepside was the clear winner and there’s no doubt in our mind that this was the reason Foust chose it as his favorite old beater. The car that could change GM’s future ended up being the Buick Roadmaster in episode five of Top Gear USA. 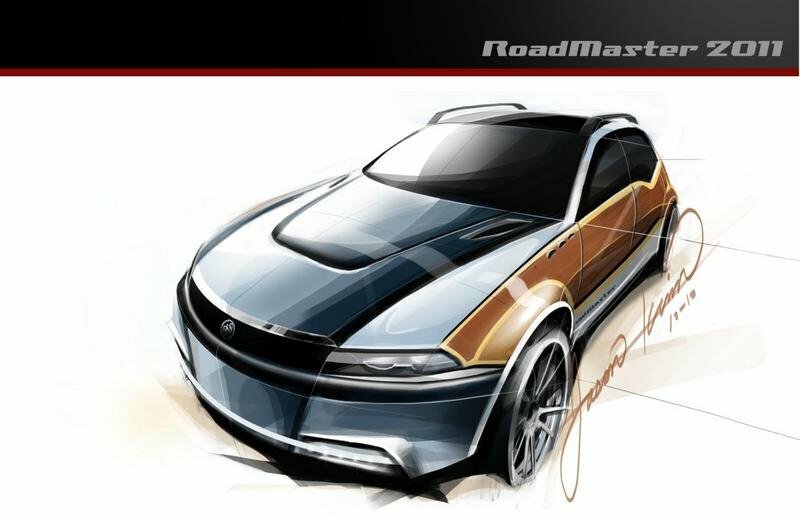 After a series of tests to prove which old beater was worthy of a revival, Ruttledge’s pick of the Buick Roadmaster was chosen as the ultimate winner, even getting a modern makeover via a couple of sketches done by the Top Gear USA crew. This full-size rear-wheel drive model was powered by GM’s 5.0L V8 engine mated to a four-speed automatic transmission. This monstrous, Griswold-toting ride was 5,525mm long, 2,029mm wide, 1,532mm tall, and let’s not forget the abundance of cupholders that facilitated the win for Ruttledge. Two races were chosen as Top Gear USA’s favorite for season one. 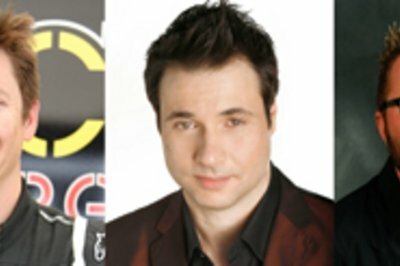 Coincidentally, both races were performed by Top Gear’s one and only racer host: Tanner Foust. 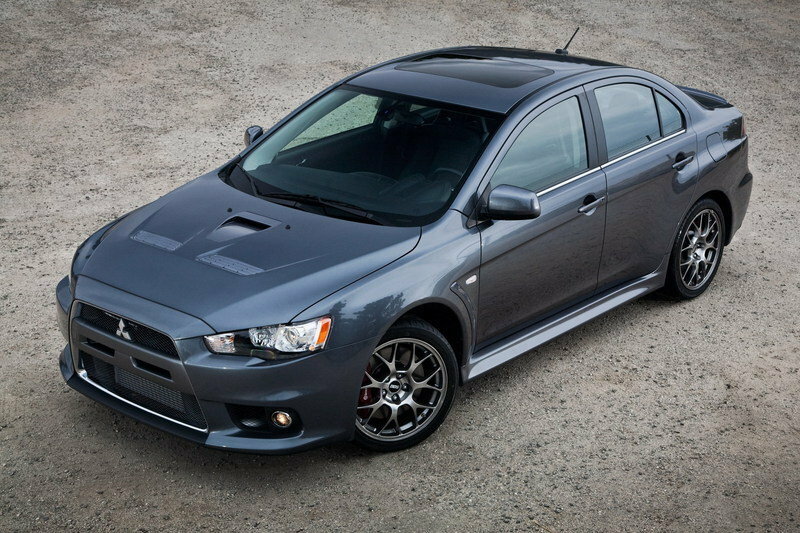 The first race chosen was the Mitsubishi EVO against the skiers as both challengers raced their way down Mammoth Mountain in California during Top Gear’s second episode. 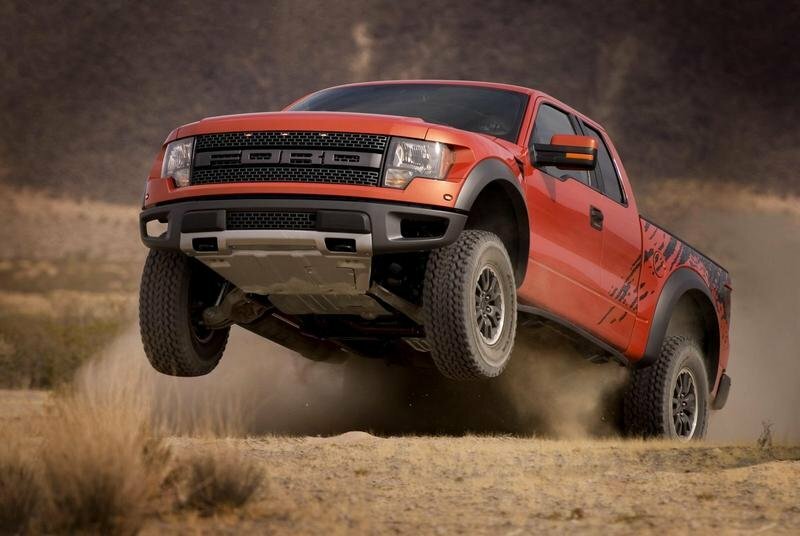 The second race chosen was Tanner’s ride in the Velociraptor 475 as he raced five miles to the finishline. His opponent was an ultra-secretive HALO jumper who’s route was a little breezier; he had to fall from an altitude of 25,000 feet. This is the part of the final episode of Top Gear USA’s season one where things get a little muddy. The formatting is thrown off just a bit as the Top Gear execs were running out of cool cars to talk about. Instead, they decided to talk about their favorite roadtrips, not that they took very many. The winners if this segment were the trip across Michigan in out of production GM cars, the Bootleggers trip where they followed the route of the old moonshine smugglers, and the Used Car Salesman stint when they had to transport their newly purchased rides from the car auction to the lot. Yeah, that last one is pretty lame, if you ask us. This last segment was pretty darn useless and was basically shoved into the episode just to finish going over all of the highlights that were missed in the categories listed above. This segment showed the Top Gear USA boys as they became teachers by teaching a blind man how to drive, scientists by spitting moonshine into their campfire, and entrepreneurs after their stint as car salesmen. That’s it for Top Gear USA’s maiden season. For a show that started off a bit rocky to say the least, we feel that Top Gear USA has really come into their own. Well, all except for the last episode. Now we have to wait until Top Gear’s second season for them to make this up to us. Let us know what you think of the boys, the challenges, and the cars of Top Gear USA, Season One in the comments section below. The whole season is very interesting! I have remember on how they makes us laugh and entertain. And seriously, I really learn a lot here. This was the last episode and the most fabulous! There’s a vast variety of vehicle that they have review. I think this is the best way to wrap their show. In totality, the show is very impressive! The show features a death defying stunt that wasn’t showed in the Top Gear UK. And I have heard that Jeremy would perform a breath taking stunt for the Season 17! If not mistaken this was the last episode for the first season. Well, I agree that the Lamborghini Superleggera would be a best car. The speed performance of the car is quite impressive. The car featured here was quite amazing. And I guess its a good way to wrapped and end the first season! Among the ten episodes, the last one was my favorite. Each season ender has been truly made special dedicated to their audiences. I’m going to miss the next season. Hope this website will keep on posting the updates. What is your most favorite episode of the first season of Top Gear USA? Well, for me? All of them. Each episodes have unique features on cars and I really love watching road trips and race cars. Though I didn’t happen to see this show, These cars in this article are attractive, I hope I find the show on the net.